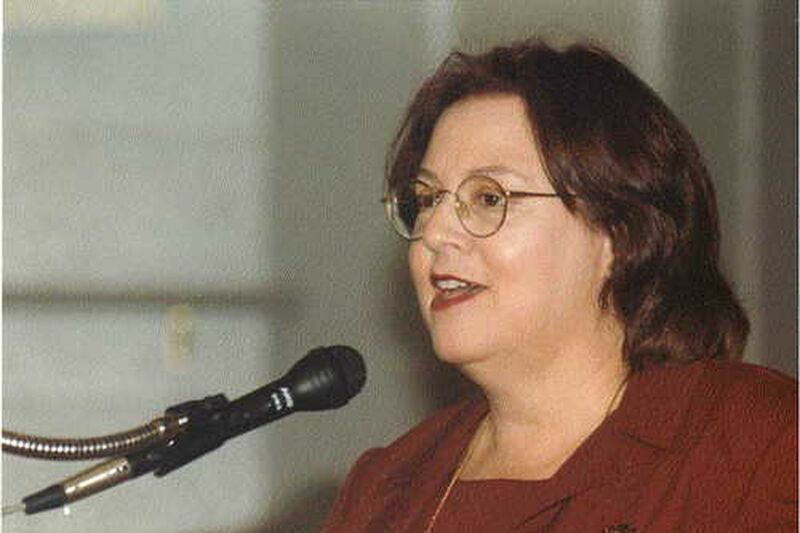 Rela Mintz Geffen, 75, of Philadelphia, a noted sociologist who used the phases of her life as a catalyst for studying the life cycle of Jewish women and families in American society, died Sunday, Feb. 3, of heart failure at Pennsylvania Hospital. Dr. Geffen joined the faculty of Gratz College in the late 1970s and was a professor of sociology. For five years, she was Gratz’s dean of academic affairs, before leaving in 2000 to become president of Baltimore Hebrew University. She stayed there until 2007. Her major studies focused on Jewish women “on the way up, breaking the glass ceiling, in dual-career families, and as grandparents,” said her son, Uri Monson, chief financial officer for the School District of Philadelphia. She was interested in these life cycles because she was experiencing them. “They informed her work and made it more real for people,” Monson said. She was also intrigued by Jewish rites and how American Jews had adapted them to everything from birth and marriage to divorce, her son said. The point of comparison was how similar rituals were conducted before Jews began arriving in the United States in large numbers. Between 1880 and 1924, more than two million Jews came here from Russia, Austria-Hungary and its successor states, and Romania, according to the website www.myjewishlearning.com. The first generation of Jews born here began loosening rituals and practices. For example, her grandfather, the famed Rabbi Tobias Geffen of Atlanta, certified Coca-Cola as kosher, which allowed many observant Jews to drink it. While teaching at Gratz, Dr. Geffen helped create a dual study program with the University of Pennsylvania School of Social Policy and Practice. Students would earn a master’s degree in social work from Penn and a certificate in Jewish communal service from Gratz. Equipped with the dual degree, graduates could qualify for jobs in Jewish family services, children’s agencies, day-care programs, geriatric services, hospitals, schools, and Jewish community centers, the program synopsis said. Dr. Geffen was a visiting teacher at Oxford University, Boston University, Harvard University, and Bryn Mawr College. She also traveled across the country on speaking engagements, her son said. Born in Troy, N.Y., she grew up in Manhattan and graduated from Public School 9. She was the daughter of Sylvia Mintz and Rabbi Joel Geffen, director of field activities at the Jewish Theological Seminary of America in New York City. Dr. Geffen earned two bachelor’s degrees in 1965, one from Columbia University, the other from the Jewish Theological Seminary of America. She completed a master’s degree at Columbia, and a doctorate in sociology at the University of Florida in 1972. A prolific writer, Dr. Geffen published more than 40 scholarly articles and authored or edited several books. She wrote some of the chapters and edited Celebration and Renewal: Rites of Passage in Judaism; coedited Centennial Volume of Gratz College: Freedom and Responsibility; and coauthored Conservative Judaism: Dilemmas and Challenges. While visiting her extended family in Israel a decade ago, she gave a “spirited and scholarly” lecture on grandparenting, her son said. Dr. Geffen read voraciously. A judge for the Jewish Book Council’s Sami Rohr Prize for Jewish Literature, she once had to read 11 books to prepare for a council meeting. Could she do it? “No problem,” she told her family. She collaborated with 17 cousins on a history of the Geffens, whose roots go back to Lithuania. She was a longtime member of Temple Beth Zion-Beth Israel in Center City. Dr. Geffen was married to Rabbi Michael Monson. They divorced two decades ago. He survives. In addition to her son, she is survived by another son, Amiel Monson; a sister; and five grandchildren. Services will be held at 10:30 a.m. Tuesday, Feb. 5, at Goldsteins’ Rosenberg’s Raphael-Sacks, 6410 N. Broad St. Interment is in Chesed Shel Emet at West Laurel Hill Cemetery, Bala Cynwyd.